After a great run, the Winning the Internet blog has been retired. However, you can still keep in touch with New Media Mentors here. There have been some good pieces written analyzing what has happened with the Susan G. Komen Foundation’s huge mistake to cut off funding to Planned Parenthood for cancer screenings. 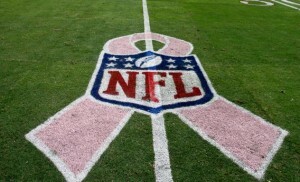 One worth reading is Kivi’s post, the Accidental Rebranding of Komen for the Cure. My personal thoughts on this are no secret, but I’d like to dissect how Komen for the Cure completely destroyed a brand 3 decades in the making and how they’re now a different organization with a different future (if they even have one), whether they like it or not. My goal here is to help people understand this so you don’t make the same mistakes. First let’s start with this item from the New York Times. If you read the full piece you’ll see that Komen’s board was pondering this all the way back to October of last year, but they actually informed Planned Parenthood a few days before Christmas. So think about that, Komen had at least a month to prepare for this if not generously a whole quarter! A lot of people have been writing that Komen didn’t have a communications strategy and that was their problem. Well that was one problem. Others include a complete lack of understanding of the Internet, how news spreads during a news cycle, and the temperature of progressive activists after a lot of backsliding on this issue specifically, and more generally with things learned from the ACORN fight. But the biggest issue is they completely changed their mission without even realizing it. There has been plenty of controversy from Komen to date ranging from accusations they are denying links to cancer because of donations they receive to suing smaller organizations for using “for the cure” in their marketing. But they’ve weathered it because they’ve remained focused on what is and should be a completely non-partisan cause – preventing, treating and curing breast cancer. They’ve attracted women and men of all political stripes and backgrounds to their cause. It was a safe place for corporations to support the cause. Komen’s board thought they were simply cutting off a grant, for what many believe to be ideological reasons driven by Karen Handel, but what they were really doing is changing their entire mission. By taking a side in the abortion debate they essentially decided: we only want to work with men and women on the anti-abortion side of the debate, cutting off at least 50% if not more of their support. I’d bet the board didn’t realize that’s what they were doing, but given that fact there’s no communications strategy that could have saved them. They could have handled things much better, but that was crossing the Rubicon for them. The lesson for nonprofits here is you have to always bring strategic decisions back to your mission and your supporters. How would they perceive it? Mission statements aren’t something top of mind every day and they usually aren’t something we can rattle off in an elevator. But that’s why they exist, to guide you as things like this come up. Their mission blow up aside, they completely failed to understand how the Internet works, how news spreads, how a news cycle works, and the political climate. Understanding of some of those things could have blunted the response, but as I said they crossed the Rubicon with their decision. Their first mistake was they didn’t break the news, Planned Parenthood did with a press release. So right from the beginning they were not in control of the story. The story contained within the press release spread like wildfire on twitter, Facebook, and on listservs of activists. In less than an hour traditional media sources had picked up the story exposing it to more people. Because of the Congressional investigation angle activists picked up on this as a parallel attack to the one that ultimately took down ACORN. Secondly, everyone online quickly found their outlets online: twitter accounts, facebook pages, race sign up communities, personal accounts of key executives like Karen Handel. Komen was then flooded with overwhelmingly negative comments in every possible online venue. Not only did they completely fail to respond in any meaningful fashion for over 36 hours, they dug the hole deeper for themselves. In Kivi’s story linked above she mentions they announced a new sponsor, Energizer, for one of their events like nothing was going on. People promptly started complaining to Energizer about the decision. Karen Handel retweeted something further reinforcing the ideological nature of the decision and then backed off it quickly. That’s bad enough to ensure that everyone at Komen was having a really bad day. But as all this was going on there were more stories being written and activists were planning actions. I saw emails from MoveOn, CREDO, and Planned Parenthood go out to their full memberships. That drove more calls, more online anger, and more activists to start digging. That’s not even a complete list, I’m sure plenty of other organizations sent something out too. This also translated into small dollar donations for Planned Parenthood, over $400K at last count. It was just announced today that Mayor Bloomberg is contributing $250K to Planned Parenthood. And just like that the full amount Komen took away, and more has been raised. Sites like plannedparenthoodsavedme.tumblr.com started popping up. Those stories will be useful for any campaign that might be launched by enterprising activists and it’ll feed journalists personal stories they love. As the news cycle continued we started getting more stories about how the decision came about and resignations started dripping out. The folks at Komen made an attempt to get on TV and address this but it was too little too late. The story continued to build. 22 Senators have sent a strongly worded letter to Komen. Activists started doing what they do best, turning up new angles to keep the cycle going. A blogger in Georgia has filed an ethics complaint against Karen Handel (Edit: this is from 2010 read too quickly, but still an example of the dirt that gets churned up). People started digging into all these other areas of criticism for Komen. Most of these are known critiques, but new life has been given to them. As it turns out there is even a documentary coming out that couldn’t have better timing. The trailer is below. And there’s absolutely nothing Komen can do to stop the story now. Even if they were to announce that the people responsible for the decision had been fired and the funds were being restored there’s plenty to keep going. And a door has been opened for all sorts of activism that wouldn’t have made an impact just 72 hours ago. New dimensions to this story will surface on their own, or activists will take action to keep the story going. What’s also presumably happening, or will happen soon, is activists on the other side of the aisle will go to work telling their story. They’ll do similar activism and make their own media pitches. Komen will ultimately end up in the middle of it, caught in the crossfire. At the end of it, whenever that comes, Komen will be a completely different organization. By changing their mission and stepping into a political debate unprepared, they will have had their future written for them by others. 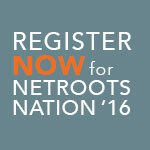 Executive director of Netroots Foundation and Netroots Nation. ← Calling all case studies!